Set hedonics to one side. Suspend, for a moment, argument over what ought to be included or excluded. 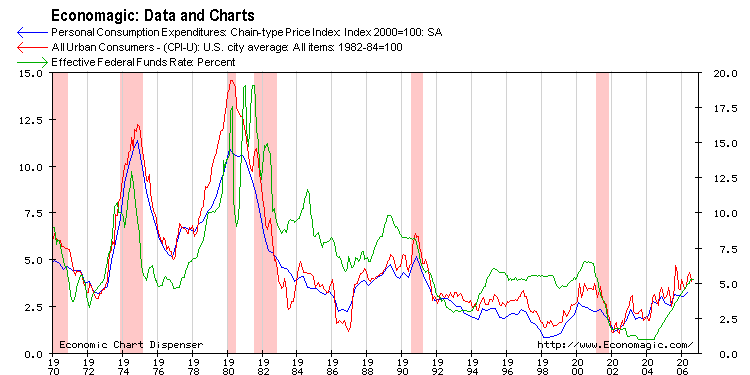 Instead, just consider a picture of your preferred, consistently calculated end-user US inflation measure – usually the CPI, PCE or the GNP deflator. Such a survey reveals year-over-year inflation still hopping an upward trend, even with today’s positively received core CPI pause. 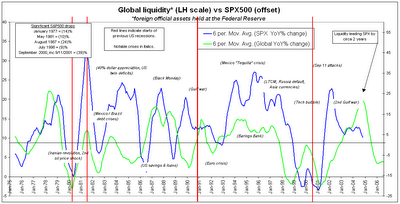 Overlay a Fed Funds plot and the argument that this cycle’s hikes began a year too late gains weight. 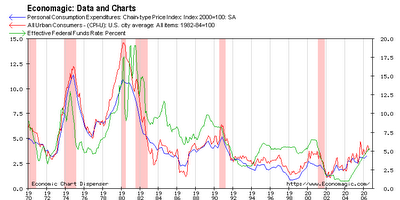 “Too late” because the Fed is now pressured to cap inflation whilst a slowdown gels. 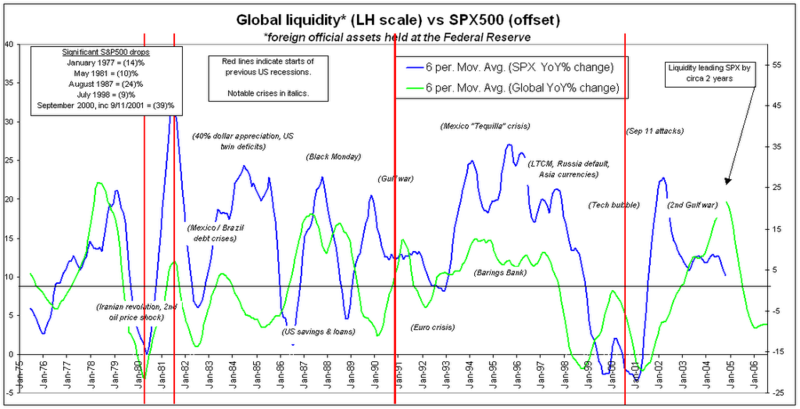 Global liquidity has braked sharply since 2005 – one herald of a downturn - and is an indicator with a circa (but variable) 2 year lead over the S&P500. As this is written, European markets and US futures are rising strongly on the CPI core data. This reflects a belief that the ideal outcome of slower economic growth culling inflation is panning out. Under this view the Fed also gets to cut thereby touching down softly. But the Fed wants to see core inflation fall, not merely pause; and at 2.5% yoy (PCE) and 2.9% yoy (CPI) it is still well above the bank's 1% to 2% target. There is no way the Reserve will cut on this data; and the longer the rising trend is in place whilst the Fed holds the greater the risk a simple downturn becomes recession. On the other hand, a premature cut might look a good call for a while but ultimately risks further arousing a fertile (though currently resting from his exertions) inflation bunny. That may only defer an even uglier choice.